What is Saint Julian Hospitaller the patron of? Who or what is Saint Julian Hospitaller the patron saint of? 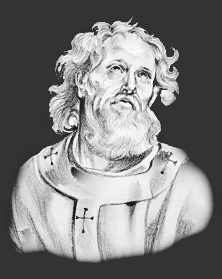 Saint Julian Hospitaller is the patron of Hospitality, Innkeepers, travelers, and boatmen. Meanings, definition and origins - a patron is considered to be a defender of a specific group of people or of a nation. There is a patron for virtually every cause, profession or special interest. Prayers are considered more likely to be answered by asking a patron for intercession on their behalf. The story and history of Saint Julian Hospitaller, the patron of hospitality. There is little historical fact behind the story of Saint Julian Hospitaller. This saint became very popular in England and France the Middle Ages when, for the first time, the Holy Crusades encouraged travel for everyone. Travel was extremely dangerous during this period. The mode of transport was either on foot or by horse, both uncomfortable and tiring as there were few Medieval roads. The legend and story of Saint Julian centres around a rich noble and his family. The rich noble, Julian, was fond of hunting and whilst chasing the stag he had a vision that he would kill his mother and father. Julian had recently married and was a jealous husband. His parents made an unexpected visit to his castle whilst he was out hunting and his wife gave then the best rooms. Julian returned from the hunt and seeing a man and woman in the bed believed that they were his wife and a lover. He killed them in a jealous rage. He was mortified at his act and he and his wife undertook a pilgrimage swearing to devote the remainder of his life to good works. After journeying into a distant country, he established a hospital on the bank of a great river, in crossing which many travellers were drowned. There he took upon himself the duty of ferrying all corners across in person, and such as were sick or infirm he tended in the adjacent hospital. On this account he is regarded as the patron of travellers, boatmen, and ferrymen. . There are two categories of saints: martyrs and confessors. A Christian martyr is regarded as one who is put to death for his Christian faith or convictions. Confessors are people who died natural deaths. Date of Death: Saint Julian Hospitaller died in A.D. 313. Cause of Death: Natural causes. Why is Saint Julian Hospitaller the patron of Hospitality, Innkeepers, travelers, and boatmen? Why is Saint Julian Hospitaller is the patron of Hospitality, Innkeepers, travelers, and boatmen? It is helpful to be able to recognise Saint Julian Hospitaller in paintings, stained glass windows, illuminated manuscripts, architecture and other forms of Christian art. The artistic representations reflect the life or death of saints, or an aspect of life with which the person is most closely associated. Saint Julian Hospitaller is represented in Christian Art with a stag by his side, because it was while pursuing a stag to the death that he formed the resolution to forsake worldly pleasures and devote the remainder of his life to good works. He established a hospital on the bank of a great river where many travellers were drowned. There he took upon himself the duty of ferrying all corners across in person, and such as were sick or infirm he tended in the adjacent hospital. On this account he is regarded as the patron of travellers, boatmen, and ferrymen and is often pictured carrying a leper through a river. The Feast Day of Saint Julian Hospitaller is February 12th. The origin of Feast Days: most saints have specially designated feast days and are associated with a specific day of the year and these are referred to as the saint's feast day. The feast days first arose from the very early Christian custom of the annual commemoration of martyrs on the dates of their deaths at the same time celebrating their birth into heaven.